Today’s corporate sustainability practices won’t work for tomorrow’s companies. Most companies think of sustainability as the impact they have on society and the environment. Yet the changes the world is facing are even more far-reaching. Water and materials scarcity, overpopulation, a warming planet, and unpredictable weather are problems that are only getting bigger. New technologies are transforming the way we live and work. Remote virtual teams are keeping tens of thousands of workers out of office buildings and commuter traffic, which translates into changes in the size and environmental impacts of office buildings and commuter traffic. E-commerce makes it unnecessary to drive to stores for our goods. The effects of new technologies and business models that are reaping sustainability results for business and society while destroying companies that can no longer compete. Nike revamped its textile-dyeing process with the help of DyeCoo Textile Systems to invent an entirely waterless technique. Nike’s ColorDry reduces water demand, dyeing time, and energy use and is a central component of its corporate innovation. Levi Strauss developed 21 different water-saving techniques that reduce the water consumed in its textile finishing process by up to 96%. The billion liters of water Levi Strauss has saved since 2011 are important for the environment, the company’s bottom line, and the likelihood that a pair of Levi 501 jeans will be available in the future when water-based dyeing isn’t an option. While a handful of other companies also have recognized the opportunity in innovating around sustainability issues, most are stuck in 20th Century thinking that will limit their ability to succeed or survive in the coming years. Sustainability issues are core business issues that will be central to innovation, growth, strategy, and profitability. Creating value for both business and society by looking at innovation through a sustainability lens is something companies can’t afford to ignore. The problem is that current sustainability practices aren’t improving societies or companies enough to save them. These three practices are important and must continue, but they aren’t enough. 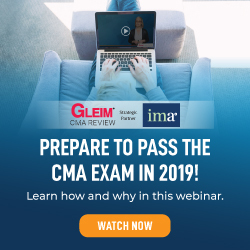 Housed in the legal and risk departments, the risk management approach to sustainability includes the legal and regulatory measures companies take to avoid exposures and fines that result from social, political, and environmental issues. They also include activities undertaken to meet legal and regulatory guidelines such as the Clean Air Act, the Foreign Corrupt Practices Act, and the EU Directive on Non-Financial Information Disclosure. The reporting-focused sustainability group is often led by communications professionals and concentrates largely on producing corporate responsibility reports and communications products, generating communications strategies, and handling public affairs issues. Since corporate communications and public relations functions are usually considered cost centers and are often marginalized, communications-focused sustainability efforts can be pushed to the sidelines, leaving the sustainability group a reactive cost stream instead of a proactive revenue generator. Efforts to use resources more effectively have resulted in both increased efficiency and cost savings for companies. Analyzing data to better understand energy and water use, materials management, and worker behavior has improved companies’ ability to run the business, produce goods, and supply customers while reducing costs. But today’s narrow focus on risk management, reporting, and operational efficiency won’t work in the future. In fact, these and other 20th Century practices are crowding out the possibility of sustainability-focused breakthrough innovation and, with it, the opportunity for increased profitability and benefits to society. Companies are focusing so narrowly on traditional sustainability practices and short-term profitability that they are ignoring the bigger picture of how environmental, social, and technological changes will impact them and that these changes (that are already happening or are on the horizon) present huge opportunities for innovation, future growth, and profitability. Companies must swiftly shift from 20th Century sustainability practices to those of the 21st Century by embedding sustainability at the heart of innovation. The solution is to take sustainability to the 21st Century. Today, sustainability is too often only about incremental innovation—innovation that employs creativity within existing strategies and fits within current business models. Sustainability efforts are constrained by a laser focus on managing tangible and present risk, finding increased efficiency in day-to-day business operations, and reporting on the results to manage internal and external stakeholder expectations. These efforts can give organizations an edge over the competition in the short term but won’t work in the long term. What we need is sustainability-focused breakthrough innovation. But it’s being stifled by the innovation paradox. The innovation paradox occurs when the aggressive pursuit of operational excellence and incremental innovation crowds out the possibility of creating breakthrough innovation. Operational excellence and incremental innovation feed success within existing business models, but they can feed failure when it comes to creating new ones. 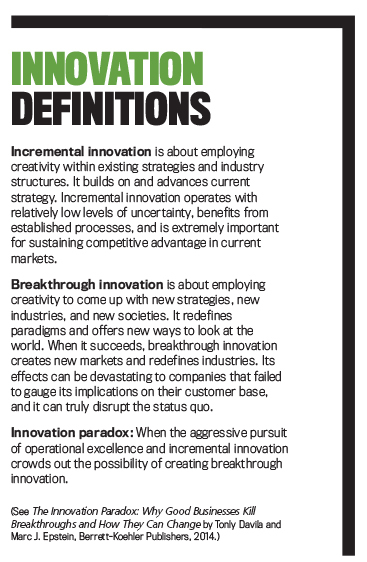 (For some examples, see “Breakthrough Innovation and the CFO” by Mark Frigo in the December 2015 issue of Strategic Finance.) As a result, companies are missing the opportunity to generate ideas that will catapult them to success in the 21st Century. The paradox in sustainability is that what companies are currently doing is terrific, but it isn’t enough and, more importantly, is distracting them from the biggest things they need to do, such as creating sustainability-focused products and services and developing internally and externally useful measurement and accountability that lead to increased profitability—all based on sustainability-focused innovation. With major changes looming on the horizon, it’s no longer about saving 5% or 10% more cost. It’s about staying in business and changing the way business is done. Tesla upended the car market with its zero-emissions vehicles. The Model S is Consumer Reports’ most highly rated car ever tested, and customer demand for the Model 3 is soaring with 400,000 reservations for cars that haven’t been built yet. GE’s Ecomagination sustainability-focused innovation products have generated more than $230 billion in revenue in the last decade. Some examples are intelligent commercial LED light bulbs that turn themselves off when a retail space is inactive and internet-enabled flight navigation to design more efficient flight patterns, fuel consumption, and flight miles. Making environmental sustainability a key part of GE’s portfolio for growth has paid off handsomely for the company. As you can see, a new strategy for innovation and sustainability is critical for companies that want to survive. Figure 1 illustrates the necessary shift from a 20th to a 21st Century approach to sustainability. 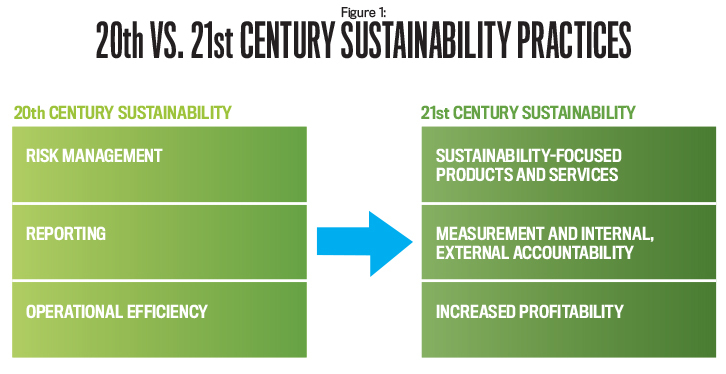 WHAT ARE 21ST CENTURY SUSTAINABILITY PRACTICES? Developing products and services that integrate sustainability into design, production, use, and end-of-life will be the hallmark of thriving 21st Century corporations. Steps for implementation are illustrated in Figure 2. Ikea and Skanska (a large multinational construction and development company based in Sweden) recognize that our future will have a much bigger population, will have fewer raw materials, and will require efficient use of resources. They also realize that while more people will need places to live, houses can’t be what we are familiar with today—large buildings that waste materials when being constructed and that are expensive and inefficient to heat and cool. So the companies teamed up to create BoKlok, an affordable, modular housing system that can be built in one day and is made of quality materials with a highly functional layout to minimize space and energy. Each home also includes solar panels and low-energy heating. The components of each unit are manufactured in factories, flat-packed, and then assembled instead of being built on-site (prefab homes). This limits waste and pollution and vastly reduces energy to transport materials. From materials use to production, transport, construction, and end use, Skanska and Ikea have devised a new type of affordable and attractive housing that accounts for environmental, economic, and social issues. Project planning, measurement, and monitoring metrics for internal business decision making. External reporting aimed at a variety of stakeholders, with a particular emphasis on metrics that are useful to investors who are increasingly seeking data for corporate valuations. 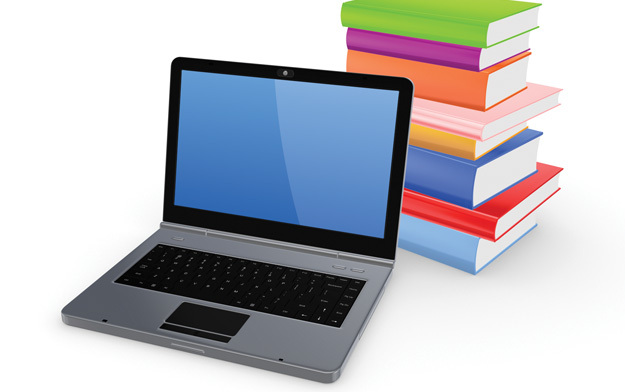 Financial professionals will have an important role to play in developing these tools. New sustainability practices will shift from a sole focus on savings resulting from operational efficiency and add revenue generation from sustainability-focused breakthrough products and services. This will be based on new ways of thinking about how the company will impact and be impacted by social, environmental, and technological issues and by changes in customer behavior as a result of all three. Nike has adopted this thinking and in 2012 launched its Flyknit technology, a totally new method of making sneakers. Inspired by the knit sock, Nike uses a specialized yarn that’s knitted into a one-piece upper that covers the toes and top of the foot, creating a pair of shoes that weighs only as much as a piece of paper. Flyknit design and production has transformed sneaker manufacturing: Products are made start-to-finish in one place and no longer have multiple pieces that need cutting and stitching. This reduces materials, labor, shipping, and time. For example, the Flyknit Racer running shoe has made Nike’s net income soar by 40% while using 35 fewer pieces to assemble than other sneakers, producing less waste, and using 100% recycled polyester that diverts 182 million plastic bottles from landfills. Nike has shown that sustainability is profitable. How do companies shift from a 20th Century sustainability practice to the 21st Century? By moving away from an emphasis only on meeting regulatory requirements, reporting, and efficiency toward a broader sustainability innovation model. 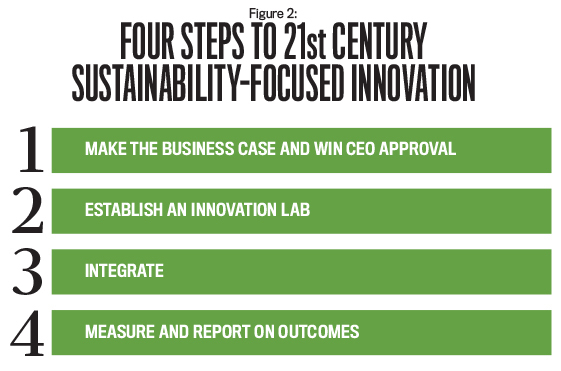 The four-step path, shown in Figure 2, will result in sustainability-focused innovation and long-term value creation, benefiting both companies and society. According to the 2016 United Nations Global Compact-Accenture Strategy CEO Study, “Agenda 2030: A Window of Opportunity,” 97% of CEOs believe that sustainability will be important to the future success of their business. But few have figured out how to translate this into strategic, value-creating activities. Providing detailed, business-specific explanations of issues facing the company—such as rapidly changing environmental and social conditions, demographic shifts, and the impact of new technologies—is helpful to the CEO when designing a path toward innovation. So is financial executives’ input on connecting sustainability-driven innovation to medium- and long-term growth and profitability. CEO and senior management support is critical because convening personnel from across corporate divisions, creating the latitude for experimentation, and funding research and prototypes require their leadership. Have a somewhat different management model than traditional business units. Include a hybrid team of personnel that puts sustainability issues at the core. Be given creative latitude, resources, and an extended timeline in order to be the inventors of products and technologies leading to business breakthroughs and societal well-being. Similar to a Bell Labs model where thinkers and doers are housed together in a space where they naturally interact face-to-face, this group is given time to formulate and modify ideas. They are presented with the challenge of understanding the way our future will look—the way people will live, move, work, and pursue joy in the next century—and will be tasked with envisioning innovative products and services that will create new markets or upset existing ones. Convening the right group of people. Research shows that when teams are made up of people with different expertise and creative thinking styles, ideas often combine in exciting new ways. Group members should include representatives from sustainability, innovation, accounting and finance, R&D, strategy, operations, legal/regulatory, IT, packaging, materials management, and supply chain. Allocating resources. Resource allocation for breakthrough innovation should be separate from investments made toward maintaining the organization’s position in the market. When they are compared using financial metrics, breakthrough innovation will often lose to incremental projects because of its inherent risks. The budget for sustainability-focused innovation efforts shouldn’t compete with ongoing business projects. Resource allocation for the innovation lab is critical, and financial executives have key roles to play in these capital investment decisions that impact a company’s long-term capabilities and operational strategies. One is as part of the executive committee, with a seat at the table and decision-making power. The other is in their specific roles, where they integrate environmental and social issues into the analysis for resource allocation and capital investment decisions. Extending the project time horizon. Typical business units are tied to short-term reporting cycles. These are the enemy of breakthrough innovation. Allow for a longer-than-usual time horizon for the hybrid group to produce results. The focus initially should be on idea generation, prototyping, and experimentation rather than revenue- and results-driven short-term reporting. The innovation lab’s intended goal is to generate ideas, scope potential projects, and, depending on the company’s structure, roll out prototypes for market testing. The smART wall hanging that loses color to alert homeowners to their use of water and electricity. Nissan’s Future Lab is generating mobility solutions for the megacities of the future. Its new 100% electric, two-seater compact vehicle, the Scoot Quad, is being tested in San Francisco, where drivers can rent Scoot Quads for a half-hour or longer to use around town. 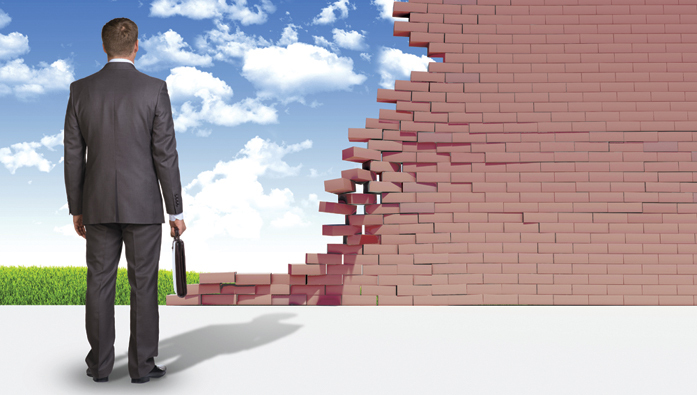 Breakthrough innovations often don’t have an obvious place to grow and mature within a company. Integrating new ideas and transforming them to fit into existing business models is critical, but doing so can be a challenge. Some companies may let the innovation evolve into a separate division, like Toyota is doing with its Research Institute focused on autonomous vehicles. Others may take over an existing division, like the LED at Philips that’s now the lighting division’s core technology. The key is to ensure that integration balances the risk of being too early—allowing business units to focus on efficiency and kill the innovation—with being too late and missing out on the opportunity to leverage resources, networks, and knowledge in the company. Yet integrating breakthrough innovations isn’t dissimilar to integrating a new acquisition, which is the terrain of established companies. Measure and report on sustainability in terms of its business and societal impacts. These metrics should be developed with a focus on their utility for internal business decision making, external investor evaluation, and other stakeholders’ assessment. Financial executives have an important role to play in this process. Financial executives play a critical role in shifting their companies to a 21st Century sustainability-focused innovation model. 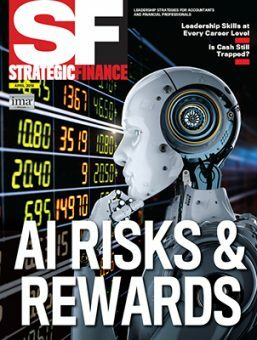 Accounting and financial analyses that are part of costing, capital investment decisions, and performance evaluations are important components of making the business case that’s critical to winning CEO support, allocating resources for innovation work, and evaluating resulting products. Few companies have fully integrated into their decision making and processes how profound a positive impact sustainability will have on their ability to innovate and generate revenue while producing positive outcomes for society. Yet the argument for fundamentally rethinking sustainability’s place within the corporation is clear. Sustainability must shift from the sidelines—where it’s treated as a risk management, reporting, and efficiency exercise—to its rightful place as a main driver of innovation. 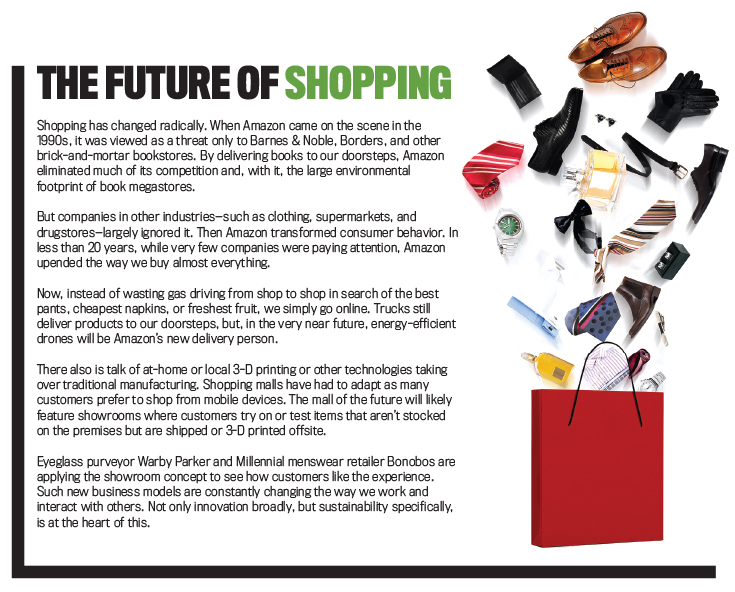 Nike, Amazon, and Ikea are beating the market and demonstrating that strategic, sustainability-focused innovation will enable companies to survive and thrive in the complex decades to come. Don’t be stuck in the last century with outdated practices. Societal changes, including changes in technology and business models, are creating opportunities for businesses that develop breakthroughs. Putting concern for dramatic societal changes and sustainability at the core of your innovation and corporate strategy is critical. Move to the new century. That’s how you will succeed. Imagine the 21st Century kitchen. Designed around the Internet of Things—where everyday items are connected to the internet and each other—the kitchen of the future will have an energy-efficient refrigerator that’s linked to “smart” cabinets, both of which scan their own contents and automatically order staple items online from a store as they run low. The refrigerator and cabinets interface with a computer system that proposes recipes using available food based on customer preferences. Recipes are projected onto a “smart” kitchen countertop that guides users through food preparation and cooking on hobs embedded in the countertop. Set into one cabinet is a closed-loop hydroponic garden that grows produce with virtually no external inputs beyond the starter seeds. A composting drawer minimizes garbage, and streamlined recycling receptacles send materials to their appropriate disposal destinations. Ikea, the Scandinavian ready-to-assemble furniture giant, partnered with Ideo, a global design firm, to invent an interactive kitchen table that serves as a preparation surface, hob, dining table, workbench, and children’s play area. Special smart lighting “reads” what the user is doing and alternately provides train tracks for children’s play, cooking suggestions based on ingredients already available at home, and built-in timers and scales that suggest meals based on time allocation and instructions on food use based on weight and size. Ikea has also developed “thoughtful disposal,” a waste and composting system to help municipalities dispose of waste more efficiently. Other companies, such as GroveLabs, are thinking about a future in which fresh produce won’t be so readily available. Factory farming likely won’t be able to keep pace with the demand of a growing population, and all farmers will increasingly grapple with unstable weather patterns. 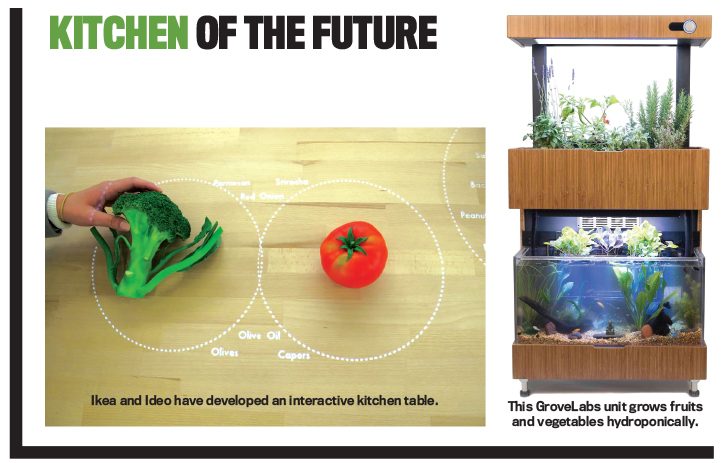 GroveLabs has designed a unit that lets individuals grow fruits and vegetables hydroponically without leaving the house. Beyond creating a ready supply of fresh produce, home-based crops eliminate dealing with factors such as farmland issues, sun, and rain. GroveLabs isn’t alone. 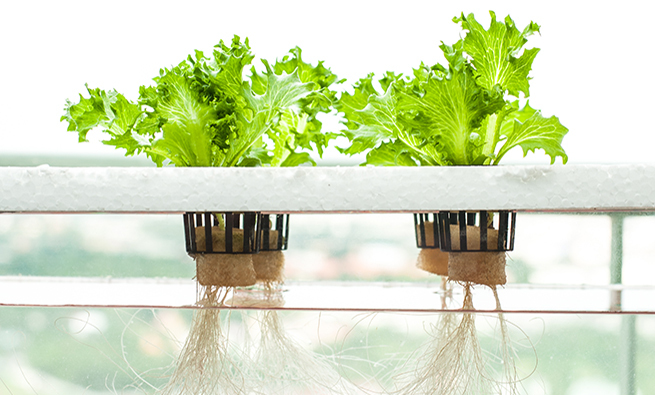 Ikea is also offering an indoor hydroponic garden for home-grown produce. Appliance and cabinet manufacturers and electronics designers can approach their crafts from a 20th Century sustainability perspective—designing incrementally more efficient appliances through ever-more-streamlined processes, using recycled or forest-certified materials, and replicating traditional design. Or they can envision our future as a different place and reimagine the kitchen for the 21st Century. In our collective 60 years of studying and writing about sustainability (Tamara for 20 and Marc for 40), we’ve seen numerous changes. For example, when we began our studies, sustainability was mainly about a company’s response to consumer and societal criticism and demands that it address some of the negative impacts of doing business, such as pollution and child labor. Now it’s much broader and is about a company’s impact on the environment and society as well as how societal changes are affecting businesses. It’s about intertwined activities and impacts and making sure companies and countries work together to preserve as many of the Earth’s natural resources as possible to sustain future generations in cost-effective and innovative ways that benefit business and society. Companies now see that sustainability can be a catalyst for innovation and profit. Companies’ success is dependent on their understanding of societal changes and building sustainability-related solutions into their core business model. Mainstream investors recognize that sustainability issues are no longer fringe issues but are central to a business’s success. Companies went from no reporting on sustainability issues to a check-the box-mentality of reporting what some stakeholders were demanding to collecting data that’s useful for operational and capital investment decision making as well as for stakeholders and investors. Risk management must include societal changes that are likely to impact—or could possibly destroy—their company, not just focus on legal liabilities. The intense focus on operational efficiency to reduce waste, for example, has evolved from a reduction of costs into a broader focus on generating revenue from sustainability. Company hiring that focused only on excellent technical skills now requires a broader sensitivity to current and future changes in society, particularly to meet the expectations of Millennials. Innovation is happening rapidly, and the internet speeds things up. It also significantly changes the way information is exchanged and the ways companies must respond to stakeholders. We’ve also studied companies that once were contaminating the land and people with toxins but that now seem to be focused on helping rather than hurting. And, yes, now companies can become more profitable with good sustainability practices. Tamara Bekefi is the founder and principal of Daedalus Strategic Advising, where she works with global corporations on sustainability, innovation, risk management, and reporting. Author of numerous articles and white papers, Tamara has lectured at leading corporate forums and universities. She was formerly a Research Fellow at Harvard’s Center for Business & Government. You can reach Tamara at tbekefi@daedalusadvising.com. Marc J. Epstein, Ph.D., until recently was Distinguished Research Professor of Management at Jones Graduate School of Business at Rice University. Prior to joining Rice, he was a professor at Stanford Business School, Harvard Business School, and INSEAD (European Institute of Business Administration). 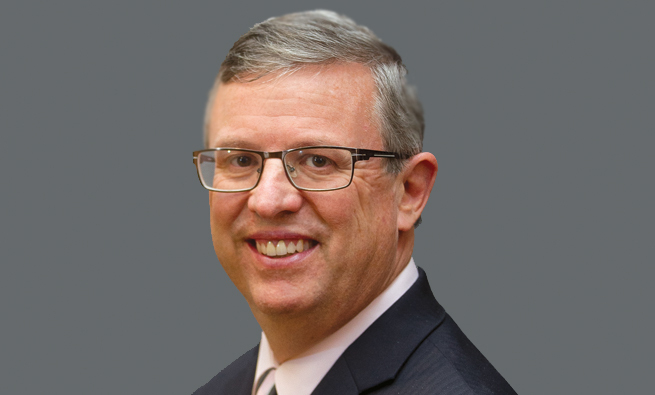 An IMA member, he is currently focusing on presentations to both academic and business audiences, advising senior leaders in governments and global corporations, and continuing research and writing projects. You can reach Marc at epstein@rice.edu. as a catalyst for sustainability changes that will benefit all of humankind. and recycling bins built in. Is the ‘Jetsons’ going to be our future reality? 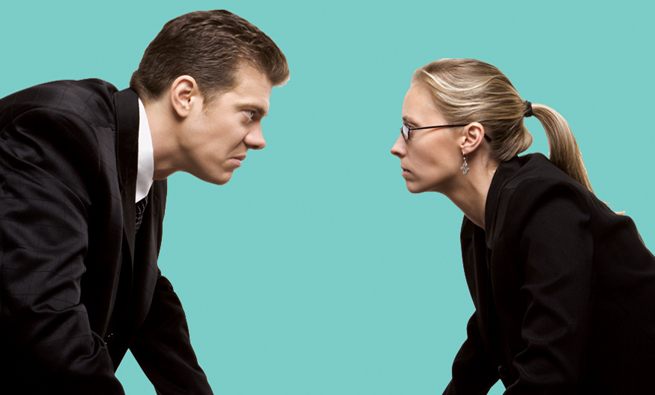 CAN CONTRARY OPINIONS ENSURE M&A SUCCESS?